We offer art or crafts instruction almost every day in Afternoon Activities, with specific activities emerging organically from the topics we study. For example, during a unit on Asia, students tried their hands at origami, paper bonsai trees, and felt rugs. While learning about the Renaissance, they made paper and soap sculptures. And as part of our study of Greco-Roman culture, students created not only mosaics and red-figure vases, but also model temples, hoplite shields, and military standards. We believe it is important for children to explore their own creativity and imagination in art, and thus offer many open-ended crafts: popsicle sticks and glue guns, Legos, and clay all allow our students to express themselves without adhering to rules or guidelines of how something is supposed to look. Traditional hand crafts like sewing and knitting are also an important element in the development of fine motor skills, and so we begin instruction in these with our youngest students. Performance is an important part of learning! In developing and preparing for performances, we explore movement, drama, and voice, as well as direction, production, and set and costume design. 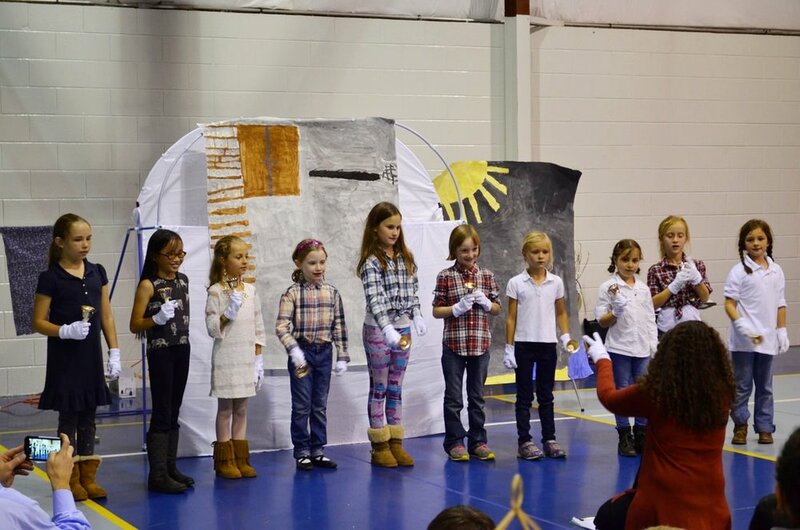 Past performances have included singing, full-length plays, puppet theater, short dramatic readings, handbell concerts, and talent shows. Music is integrated into the curriculum, with students learning about the music of the period of history or region they are studying and sometimes creating musical performances inspired by the curriculum. We also include dance in our curriculum, ranging from our holiday "dance parties" to instruction in simple period dance. TNCA students have practiced Renaissance country dance, the waltz, and square dancing! We also offer general music instruction, with lessons in musical notation, rhythm patterns, and different types of instruments.